If you like to ride the rapids, get splashed by the cold water, hold the strings and paddling with all your might, you will appreciate Serbia. 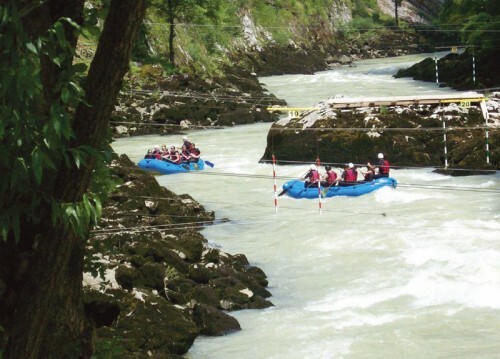 Rafting on the Tara, Drina, Lim or Ibar Rivers will offer a unique experience to enjoy the fantastic landscapes and local culture. The company “Alfa splavarenje” offers, for example, to paddling down the Lim River in three days for 137 Euros or the Tara River for 92 Euros. In general, the offerings include rafting equipment, guides, boats, paddles, life jackets, safety helmets and neoprene clothing. Tents or sleeping bags may also be included into the offers. It is very important to wear appropriate clothing and footwear. Even if it is hot during the day, there should be a warm jacket and boots for the rain in your bag. It is not advised to come dressed in luxury clothes because it can be easily damaged by waters. It is advisable to wear a hat or cap, sunglasses and a wetsuit or swimsuit. Avoid having valuables because it can also be damaged under the water. Raids are lasting several hours, so it is recommended to have (attached to itself or the boat) adequate equipment and especially something to eat (fruit, chocolate…). Posted on May 30, 2013 by Allo-Balkans. This entry was posted in Serbia and tagged sport, tourism. Bookmark the permalink.